While many Americans are paying attention to midterm elections today, in another part of the world the focus is on a different kind of event. Tomorrow is the Hindu festival of Diwali — and this year there’s a special set of concerns in the Indian capital. Some might find a touch of irony in the fact that Election Day in America comes in the same week that Hindus mark the struggle between good and evil — light and dark – knowledge and ignorance. Diwali is a happy occasion because it celebrates the triumph of good over evil. But this year there are some worries, especially in the capital of New Delhi. Fire crackers are a traditional part of Diwali celebrations, and while air pollution is always a concern — this year’s got more urgency. Monday morning, New Delhi residents woke up to levels of air pollution 20 times the limits recommended by the World Health Organization. Visibility was about the length of two football fields. That was a severe decline in air quality from just one day earlier. Government officials blame farmers burning their crop stubble to clear the way for new plantings . . . along with slower winds. 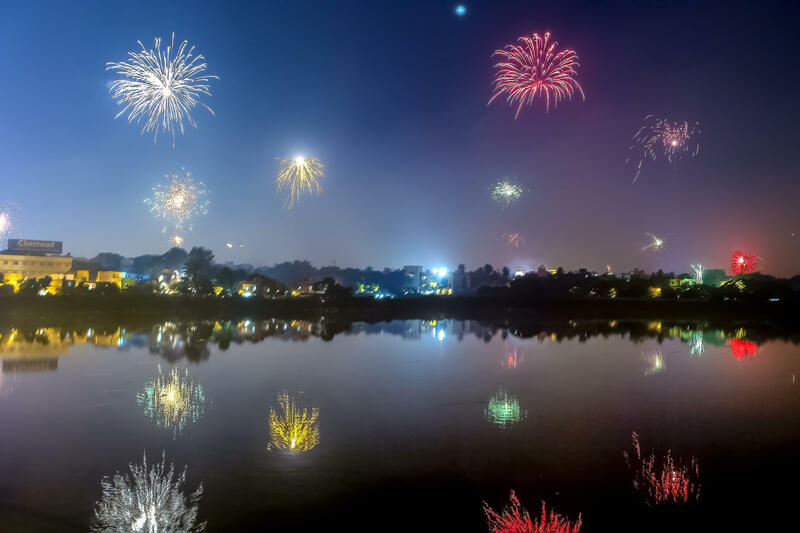 Rules are in place to help — it’s so critical that the Supreme Court got involved — limiting fireworks to two hours on Diwali. And then there’s social pressure. The World Health Organization estimates poor air quality kills more than a million residents of India every year, and says New Delhi has the worst air of any major city in the world.